Comments Off on Eating In, It’s the New Eating Out! Eating In, It’s the New Eating Out! Algarve Kitchen Angels would like to present the ultimate in personal dining. We will work on menus with you to suit your personal choice and the kitchen angels team will deliver this to you on the day with professionalism, enthusiasm and expertise. We will deliver beyond your expectations and leave your home spotless. 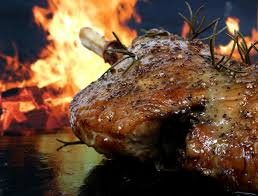 We cater for dinner parties, canapé parties, BBQs, buffets and other special occasions. We come to your home before your guests arrive, we use your kitchen to prepare the food, giving you the opportunity to watch us work. The kitchen angels team will set your table, serve the food and drinks, clear the table and leave your kitchen spotless, leaving you free to host your party and enjoy the occasion. 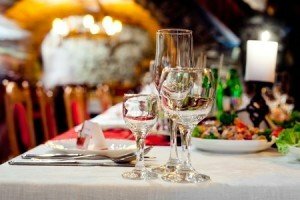 We can also arrange equipment and crockery hire for larger events, live musicians, cocktail makers and other entertainment. All you have to do is invite your guests, relax and enjoy the excellent food, fine wine and luxurious ambience of a top restaurant in the comfort of your own home. Contact Algarve Kitchen Angels today and impress your guests with an occasion they will never forget.